Hogfather has gone missing on the eve of Hogswatch and it is up to Death to step up. 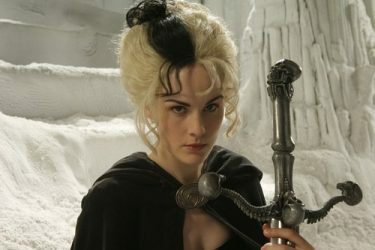 Hogfather (2006) is the made for TV film adaptation of the Terry Pratchett novel Hogfather, which is part of a the immensely popular Discworld book series. This TV movie is lengthy and is presented in two parts. This is not your typical save the Christmas movie as you might instantly guess, but with its gorgeous sets, splendid acting and dialogue (those Brits! 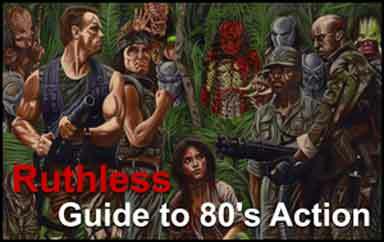 ), and the outrageous and intriguing plot, it could become one of your Christmas favorites. 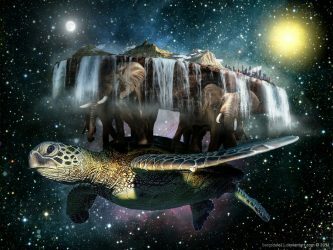 Discworld was a world in a parallel universe created long after our conventional world and was also a place where magic was just a job, not a mysterious oddity. 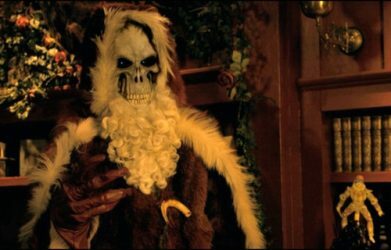 Hogswatch was a winter holiday that bore a remarkable resemblance to Christmas and the Hogfather was of course, the equivalent of Santa. In the city of Ankh Morpork there existed many shadowy components, and one was the Guild of Assassins. 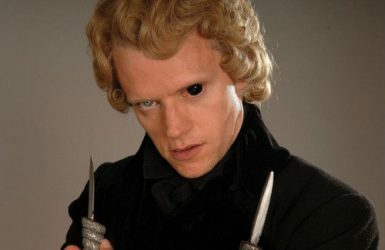 The great David Warner gave a cameo as Lord Downy, the chief of this organization, and on Hogswatch Eve he was visited by the shadowy entities, the celestial bureaucrats, known as The Auditors of Reality. These Auditors made sure that the universe runs properly, but were annoyed by humans with their mythology and beliefs, which they found to be untidy and inefficient. They couldn’t just do away with humans as that would be against the Rules, and The Auditors were the Rules, but there were other, more sinister methods. Since they couldn’t break the Rules themselves, they decided to subcontract the Assassins Guild to whack the Hogfather, and wipe out a huge portion of the needless and inefficient beliefs of the humans. Lord Downy assigned this grisly task to the film’s chief villain, Teatime, pronounced ( Tee-ah-Tim-ah), and he recruited a band of specialized henchmen to undertake the unsavory task. Now Mr. Teatime was as diabolical and cunning as he was creepy and ruthless and he hatched a scheme that was worthy of The Grinch. Instead of directly attacking the Hogfather at first, he and his thugs cleverly invaded the highly fortified domain of The Tooth Fairy, determined to undermine the belief systems of the children. His shenanigans resulted in mythological bodies stacking up quickly, and this unusual activity quickly got the attention of the main characters in this movie, Death, and his granddaughter Susan. More on this later. Meanwhile, at the Unseen University, a consortium of wizards who were more like the Keystone Cops than useful magicians, were noticing a lot of unusual activity. Head wizard Mustrum Ridcully was perplexed, as all sorts of imaginary creatures were popping into existence, mostly hilarious curiosities, but some distinct possibilities, like the Oh God of Hangovers character. 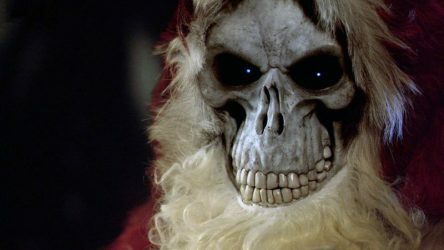 Now Mr. Death was not the villain that you might imagine, as he had grown fond of humans and was dismayed when he learned that the Hogfather has gone missing. In the spirit of Jack Skellington, he took it upon himself to man the Hogfather sleigh with his sidekick Albert, who enthusiastically smokes, drinks and eats Christmas pies while assisting the substitute Hogfather with his rounds. The interaction of these two provides much of the humor in this movie as Death struggles, in spite of his good intentions, to get into the Santa Hogfather groove. In the end, there is the inevitable showdown between Teatime, the beautiful but deadly Susan, and the even more dangerous Death. I purchased this movie, but if you want to watch it free in two parts, it is available at YouTube. 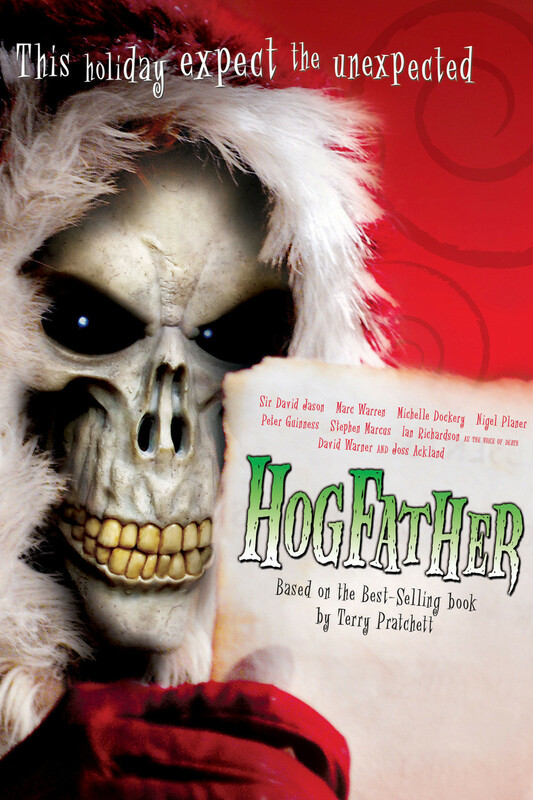 Hogfather is a long movie, running over 3 hours, but I heartily recommend this beautiful film. 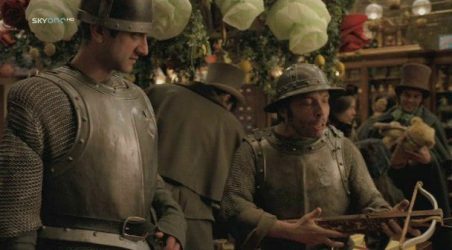 Again, this is not your Mothers Christmas movie, and transferring something like a work of Terry Pratchett to film is going to be very difficult. There are 40 books of detail that Pratchett has written and hard-core fans will inevitably be displeased with any transfer to film of a series like this one, and rightfully so. The movie did have faults, but all were forgiven as the beautiful sets and scenes and the crisp dialogue negated whatever negatives there were. Yes, the movie was overly long and yes they did spend an excruciatingly long time in the castle of the Tooth Fairy. Some of the humor was cornball and unnecessary, like the Anthill Inside [Intel Inside] of the wizards remedial computer, but most of the humor was quite clever and enjoyable, especially from Death. Another great scene was the one at the department store where Death had ousted the store Hogfather, and was literally giving away the store. The consternation of the Store Manager and the reactions of the constables he called to arrest the phony Hogfather were priceless and hilarious. 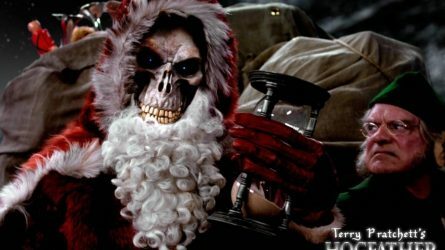 Hogfather contained violence, but it was tastefully executed, and this is a Christmas movie that the entire family can enjoy even if some of the lines might be over the heads of younger children. Oh, and there is just something screaming hot about women with swords.